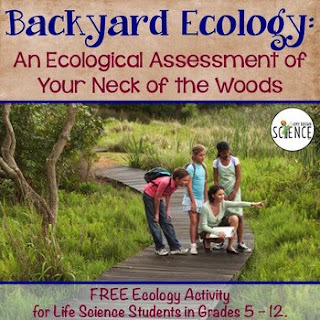 This free ecology activity is perfect for laying the groundwork prior to your ecology unit. This questionnaire will get your students thinking about the ecology and environmental issues of their local community. The first step in protecting our fragile environment is education. Students must learn about the ecology of their immediate area, and take steps to protect, conserve and improve their local environment. How aware are your students of the environment in which they live? This is the first assignment that I give my students when starting my first unit on ecology and the environment. 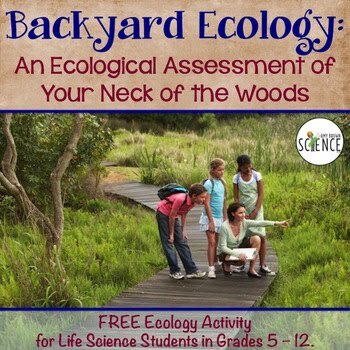 This thought-provoking activity requires the student to work through a series of questions about their local environment and their efforts to protect and conserve it. 1. Name 5 plants that seem to be native to your area. For each plant, list one reason why it is important to humans. For example, can these plants be used as a source of food? Are they used in landscaping? 2. List three organizations or agencies in your area that are involved in the conservation and protection of the environment. Describe the purpose of each agency/organization. 3. When you consider the area in which you live, are there any obvious sources of pollution? If so, describe the source and the type of pollution. This four page worksheet has 23 questions. There are no right or wrong answers. My hope is that this activity will encourage students to increase their efforts in conservation and maintenance of the environment. Lab: How is the Germination of Seeds Affected by Abiotic Factors?